Beach getaways and tropical vacations are the only times when you and your friends can get to take Instagram-worthy photos, but how can you possibly take photos without risking your gadgets out on sea? Easy. You just have to carry it in a waterproof pouch like this one right here, and you’ll be good to go! Are you and your friends planning to go to the beach and take the most Instagram-worthy pictures of your life? If so, you really have to be prepared for this! Aside from deciding the best destination, booking the necessary tickets, and preparing the budget, you have to prepare all your stuff too. That includes clothes, gadgets (cameras and smartphones), and other possessions. Traveling without a smartphone or camera on hand basically takes half the fun out of the trip. Sure, you can still enjoy your vacation, but how are you going to take memorable photos without those? Don’t let the fear of getting soaked prevent you from bringing your phones and valuable gadgets, get them protected with this waterproof pouch! 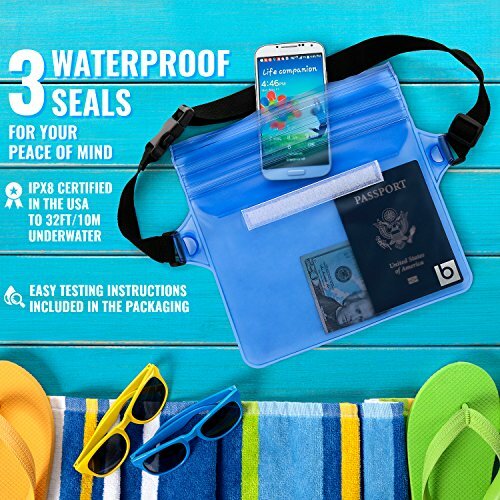 Covers your gadgets and valuables with its trusted Triple Seal Protection that can withstand up to 32 feet (10 meters) underwater – allowing you to swim/snorkel underwater with it. Floats on water, allowing it to be easily retrievable if it falls overboard accidentally. 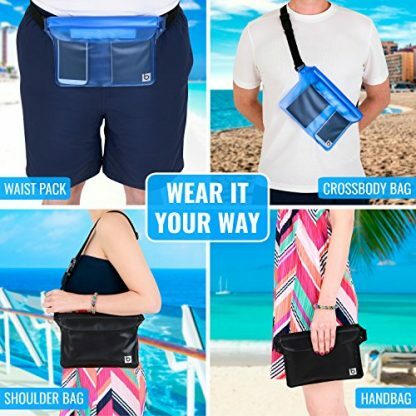 Pouch is Touch Screen-Friendly, so you can still use your smartphone with ease. Also protects cash, credit cards, passport and other valuables. 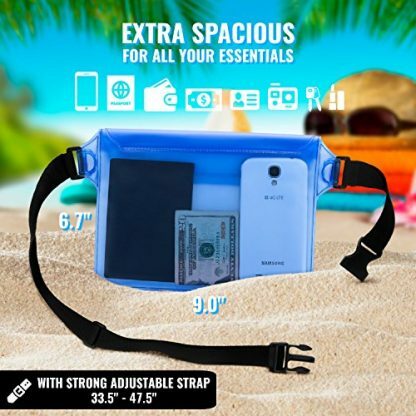 Good safekeeping for the whole duration of your trip! 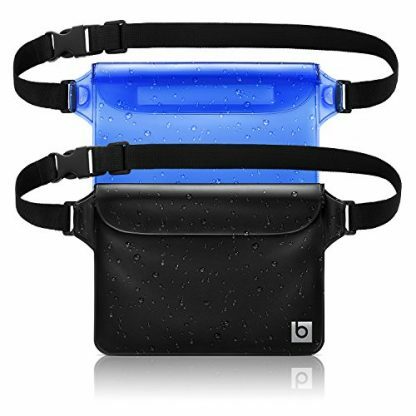 Comes in Ocean Blue and Jet Black colors. 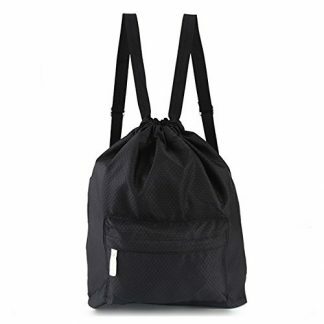 Designed with fully adjustable carrying straps (fits sizes: 33.5″ – 47.5″). 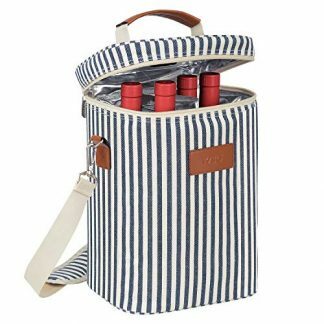 Can be worn as a cross-body bag, or shoulder bag. 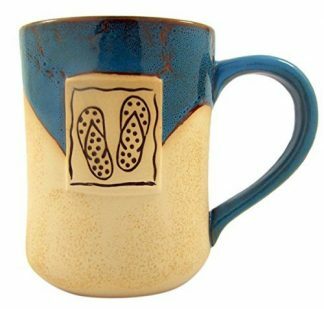 Give your friend some peace of mind whenever they go on a swimming trip or when they go to tropical destinations. 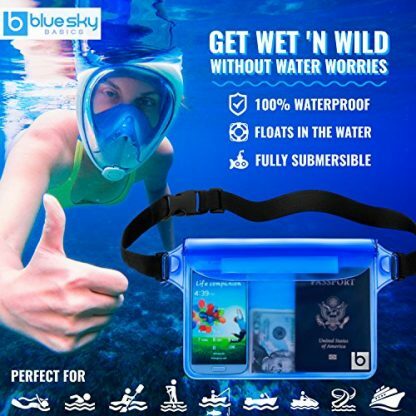 Take the best snapshots of your vacation without worrying about your gadgets and valuables of ever getting submerged on water. 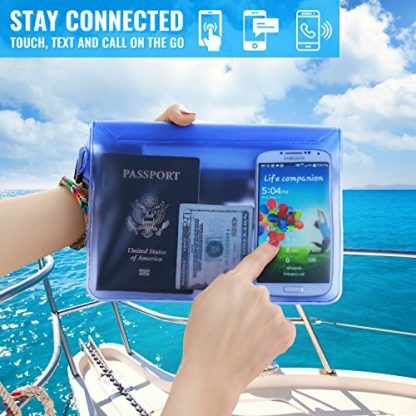 Keep your phones, cards, passport and bills safe and waterproof in this zip and lock pouch! With this waterproof pouch, you can take shots of the scenery underwater. Whether you find great corals, exotic fishes, or just take a pose with all that underwater beauty, you can never go wrong when your gadget is safe in this waterproof pouch! 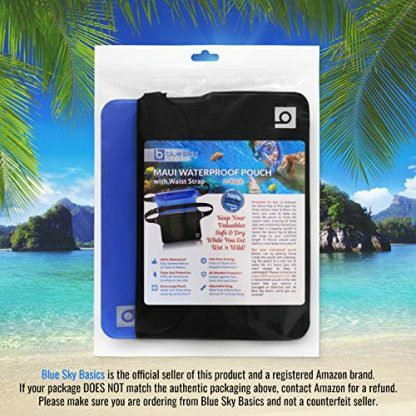 Blue Sky Basics is the only authorized seller and the sole manufacturer of the blue sky BASICS™ Waterproof Pouch with Waist Strap (2 Pack). Blue Sky Basics products are Fulfilled by Amazon. 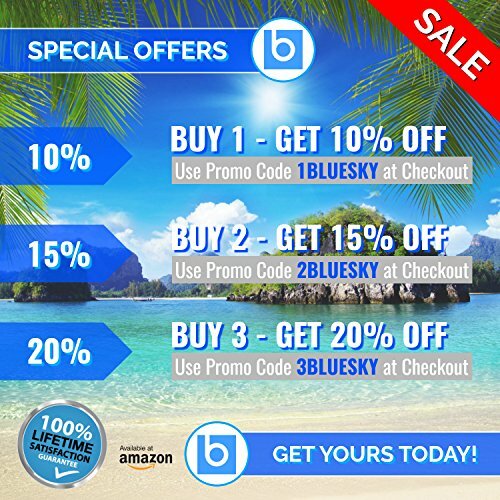 Please ensure you are purchasing from Blue Sky Basics and pay special attention to the "shipped from and sold by" information for the product you are considering purchasing.